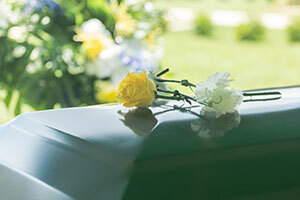 Have you lost a loved one due to wrongful death in Miami? If so, we know that you are in a terrible situation. Losing a loved one or family member is probably the worst thing that could happen to anyone. We have all lost someone and some of our clients have lost family due to the negligence of others. In all situations, people befallen by tragedy do not think about getting justice in the beginning. They know that things will never be the same again and think about how to cope with that. It is totally understandable and the only way a human could react to the tragedy. However, once the first shock has settled, people want to seek justice for their loss if possible. Taking the responsible person to court and seeking accountability becomes a priority. That's where the Miami wrongful death lawyers at the Wolfson Law Firm can help. We have helped victims and survivors since 1963 and helped them recover financially for the harms and losses suffered. Nothing can bring back the deceased person but recovering for damages from the death can help bring you closer to justice and closure. Call us at 305-285-1115. Our consultations are free. We don’t ask for fees unless we recover for you. Miami and Florida enjoy the reputation of a very desirable place, but if you knew the wrongful death statistics, you might think twice. Throughout the last few years, Miami leads the national statistics in motorcycle deaths, and Florida has the second-largest number of pedestrian fatalities. More than 700 children become injured in vehicle crashes every year in the Sunshine State, while the accidental drowning rate for them is three times the US average. Miami is in Miami-Dade County, south of Fort Lauderdale and West Palm Beach. The most significant cities and neighborhoods in the area include Overtown, Little Havana, Wynwood, Brickell, The Roads, Little Haiti, Allapattah, Coconut Grove, and Miami Gardens. Several highways pass through the city, connecting it on the north with neighboring Fort Lauderdale, and the Florida Keys on the south. These include the US 1 and Interstate 95 as well. It won’t be easy to get fully compensated, but it is not impossible either. It will be the best if you focus on emotional recovery and let our Miami wrongful death attorneys at the Wolfson Law Firm work on the legal and financial recovery. Call 305-285-1115 for free consultations. We handle cases on a contingency basis, so you won't pay unless we recover for you.